How do you calculate the age of the Earth? How do you calculate your age? You simply go take out the difference between your birth year and current year, isn’t it? But when it comes to taking out the age of the sprawling sphere which we call home, Earth, it becomes a bit trickier. Let’s explore what science has to say about the age of the Earth. 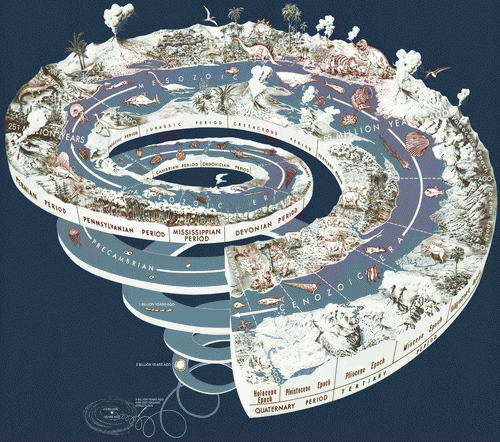 The age of the Earth couldn’t be guessed by anyone before the process of radiometric dating came into play. In 1898, the pioneer of radiology, Marie Curie discovered the phenomenon of radioactivity. The atoms either decay or lose energy by emitting radiation in the form of electromagnetic waves or particles. Later, in the year 1904, Ernest Rutherford, the famous physicist determined how this decay could let them explore the age of old rocks. With this exploration, Arthur Holmes, who was completing his geology degree in London, acted as a helping hand by developing a new technique of dating rocks using the uranium lead method. He applied this technique to the oldest rock and got to know its age. Applying the similar technique to calculate the age of the Earth made him reach the conclusion that the Earth was at least 1.6 billion years old. But wait, this is not the actual age of the Earth! The Earth’s age has always been hotly debated among the scientists over the years. That is why several revisions have been made. Later, in 1920’s, an unknown scientist declared that Earth’s age was approximately 3 billion years. This suggested that the Earth was even older than the universe, which itself is 1.8 billion years old. Later, the scientists declared that radiometric dating of the fragments from Canyon Diablo iron meteorite was the best estimate for calculating the age of the Earth. From those fragments, they got to know that the true age of Earth was 4.56 billion years. Since then, scientists have been using radiometric dating to determine the age of extraterrestrial objects such as Earth, meteorites, space rocks and moon rocks. For many years, scientists have tried to determine the exact age and now that they have discovered its age using the radiometric dating, they are using it for several other space objects as well. If you want to explore some more interesting information from the world of geology, come back and join us for more interesting information on other fascinating topics.